Find out what makes products hugely successful when marketed through infomercials. Hundreds of million of dollars have been earned by crazy products utilizing this television long-format commercial. Infomercials are a $150 Billion dollar industry. 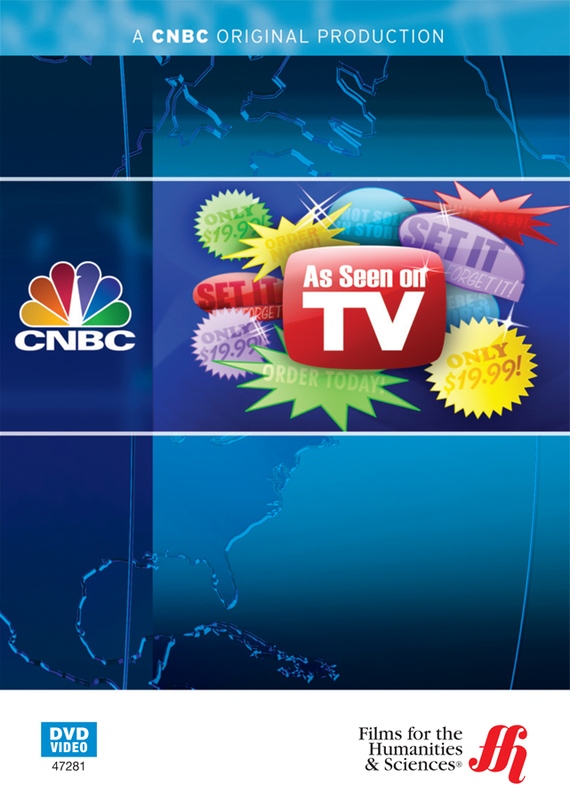 CNBC takes a close look at what makes a successful infomercial campaign, and what makes a flop. There are plenty of successes, enough to sustain a $150 billion industry. The flops are quickly removed because if infomercial tests well the product sells, if not, it is rapidly discarded. Players in this market space learned that certain patterns of creating excitement about products work very well on television. To create a success in this field requires a modest investment in video production costs to prepare an infomercial, having some inventory on hand to fulfill orders, and then doing a test media buy. The cost of flops is minimized and the potential of hits is outrageous profits. Think of the infomercials as a sophisticated marketing testing program before the products hits the retail shelves. Prior to the long-format commercial of the infomercial, products were advertised to create retail-buying responses in the stores. Direct selling through infomercials reverses this pattern. The product marketing occurs first on television, with a very compelling sales pitch and for successful products the response from consumers is almost immediate in that they buy the product. As interest in the product grows, after the direct selling wave that both makes sales and increases brand awareness, then the products are featured in retail stores at a great price with the logo on them "As Seen on TV." Surprisingly, the pitch host of infomercials have become superstars, such as the deceased Billy Mays who was one of the most recognizable salesmen for infomercials. Because of the repetitive media exposure, the pitch hosts develop their own personality brand as well. Infomercials are here to stay, because as this enhanced DVD shows, they really sell certain products.